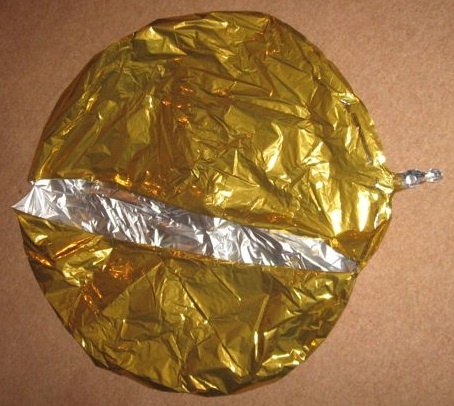 Confirm Super Pressure balloon theory by using large “foil” party balloons and lightweight payload. Currently the project is in the balloon testing phase - test rig with 10Kpa differential pressure sensor constructed and used to burst test a balloon. Consider a system comprising a Super Pressure (SP) balloon and attached payload. The SP balloon has inelastic envelope that expands to volume V and then stops. The balloon is filled with a lighter than air gas until the balloon+payload system starts to ascend. As it rises the contained gas has the same pressure as the surrounding air until it starts to be constrained by the SP balloon envelope. The balloon+payload will rise until the overall system reaches the same density as the surrounding air – at this point it will “float” at that altitude. More gas fill at launch will result in a quicker ascent but increasing differential (internal/external) pressure at float and lower overall float altitude (due to the weight of the additional gas). Whether the particular balloon/payload/fill combination will work depends on the SP balloons ability to stand the differential pressure. The ascent rate will be more or less linear until the envelope fully inflates (this is because the drag effects due to increasing size of the balloon cancels out that of the reducing air density). Beyond that the ascent rate should continue to reduce as the float altitude is approached. A spreadsheet SP pressure calculator float1b has been written to calculate float altitude and differential pressure to confirm this theory. The Volume is the fully inflated balloon volume, mass is the payload weight + balloon envelope weight + mass of gas it contains. The volume of the payload doesn't count in this calculation unless its sealed. The second step uses a Standard Atmosphere model to find the altitude which has the same density of the balloon+payload system. The third step uses the same model to determine the atmospheric pressure and temperature at that height. P = kT / V                pressure = k * temperature / volume. Where k is a gas constant for the gas used to fill the balloon. The temperature from the atmospheric model is used (because the gas will equalize of this). Volume is the fully inflated SP balloon volume. The differential pressure is the difference between the internal absolute pressure and the external atmosphere from the NASA model. The 36” Qualatex balloons to be used have a mass of 37g and have a measured volume of approx. 0.10 (measured by helium lift) to 0.11cu m (measured by water fill) when nicely “full”. Two balloons have been pressure tested - the first with a manometer the second with a pressure sensor MPX5010. The results were burst at about 4.7Kpa (0.7PSI) and 5.4Kpa (0.8PSI) respectively. Testing suggests volume increases by about 33% at burst (due to stretch). Both tests resulted in a diagonal rips - see pictures. The balloon material is 31um thick - probably nylon. Silver balloons will be used to minimise any solar gain. Modeling the balloon as a tube and sphere and using a thickness of 31um and a Ultimate Tensile Strength (stress) of 60MPa for Nylon gives results of a burst pressure of 6.5kPa for a tube and 13kPa as a sphere. Not vastly dissimilar from the measured value.